Turning your 3D model into a 3D print is an exciting technological process. However, to make sure you don’t receive an unpleasant surprise, we will show you how to choose the perfect resolution for your 3D file. This will guarantee you a 3D print of the best possible quality. For 3D printing, the most common file format is STL. STL stands for standard triangle language and means that your design will be translated into triangles in a 3D space. STL is typically not the native file format of your 3D modeling software. 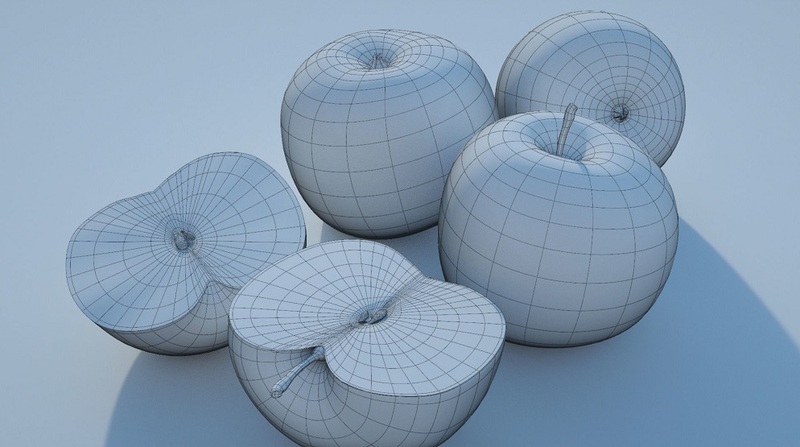 In its native format, your design is described as a mathematical function. 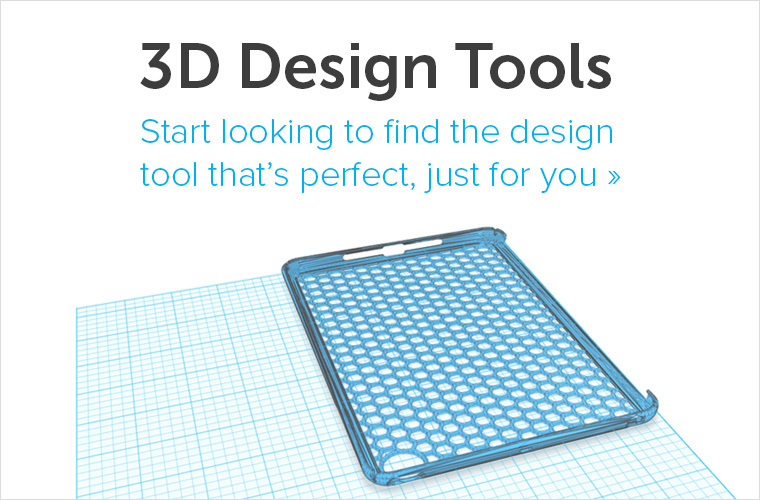 However, most 3D modeling software has the option to export your designs to an STL file. Let’s take a look at this difference in a visual way. Below you can see three globes: the one on the left is in its native file format from a 3D modeling software, the one in the middle is a high-resolution STL export, and the one on the right is a low-resolution STL export. When deciding to provide us with an STL file for printing, choosing the right resolution for your file is important to ensure a good quality print. Very high-resolution STL file: A file with a resolution that is too high will make your file too big and sometimes impossible for us to handle. This will make it harder to upload your files and share them with coworkers or friends. 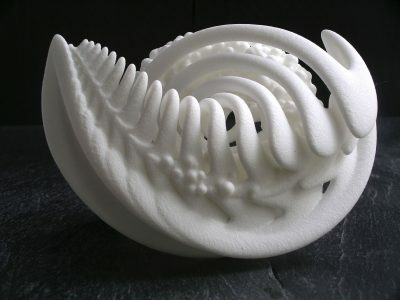 It might also contain an extreme level of detail that the 3D printers simply cannot print. In most 3D modeling software, when exporting you will be asked to define the tolerance for the export. This tolerance is defined as the maximum distance between the original shape and the STL mesh you are exporting. It is advised to choose 0.01 millimeters for a good export. Exporting with a tolerance smaller than 0.01 mm does not make sense because the 3D printers cannot print at this level of detail. When exporting with a tolerance larger than 0.01 mm, triangles might become visible in the 3D print. Of course, some people like the visible triangles if it works as part of their design. 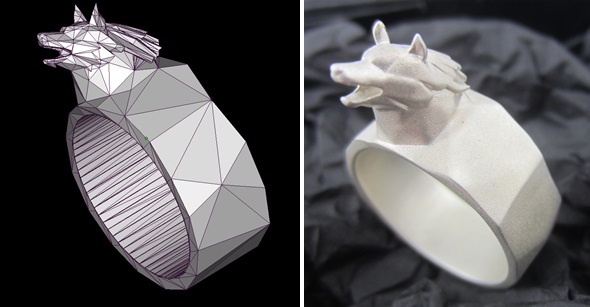 An example can be seen in the wolf ring below, where you can clearly see triangles in both the STL file and the end result. You can upload your STL file directly to our website to order your 3D print. You can also upload any other common 3D file type (see the complete list below). The transformation of these files to STL will be done automatically by our site and you don’t have to worry about the export settings. For some, we can provide you with a 3D printing price online, while for others, our support engineers will handle your request. 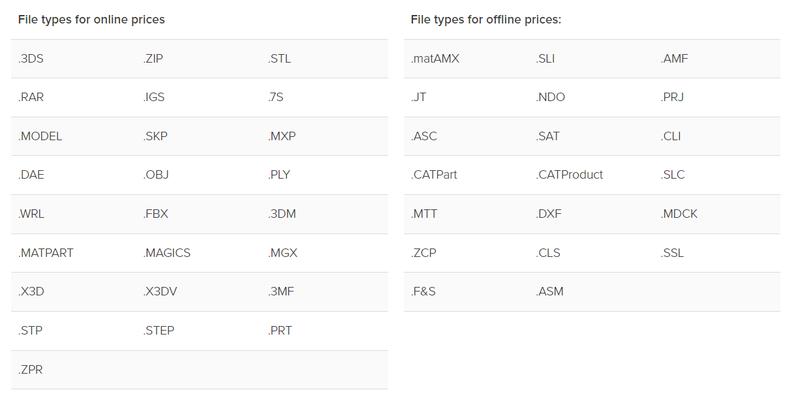 If time is of the essence, we suggest that you select a file type for which we can generate an online price. For the best result, do not forget to resize your object in your 3D modeling software before you export it to an STL file or before you upload it to our website. 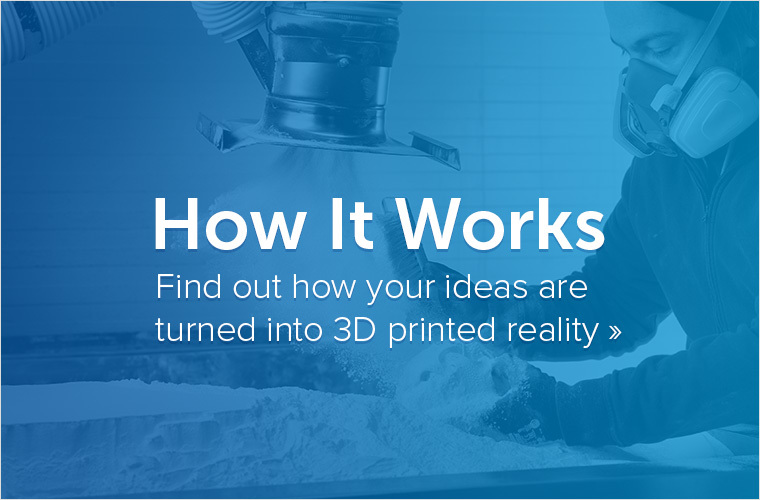 Ideally, the size of your 3D model should be the same as the size of the intended 3D print. 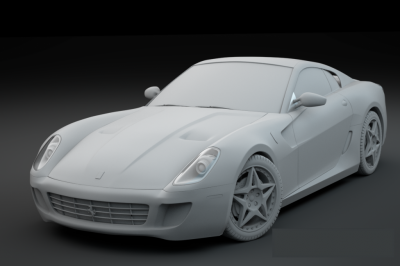 If you have a small-scaled 3D model but you intend to print a large object, it is better to scale up the 3D model in your software before you export or upload it. Last but not least, it’s important to make sure that the size of your file does not exceed 100 MB. 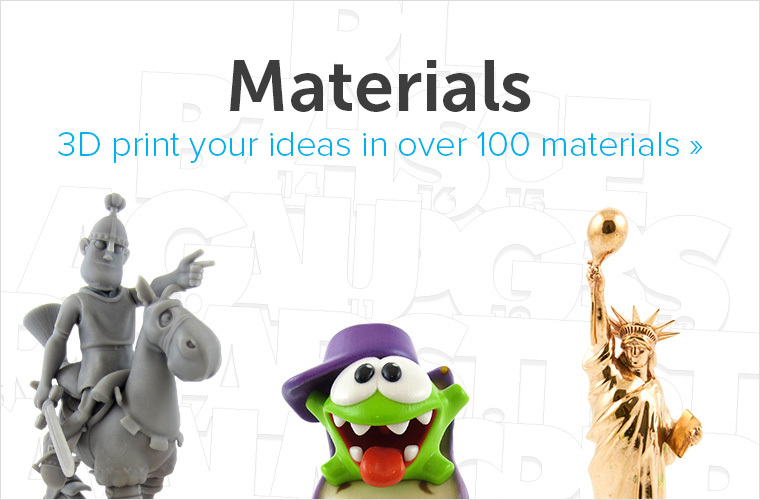 For larger files, we can provide an offline quote if you send a zipped file via a file transfer service to contact@i.materialise.com. Please be aware that offline price requests will take more time to process than online requests, which are instant. Visit our File Optimization Guide to learn more about how to prepare your files for 3D printing. For the best results, also make sure to take a look at the Design Guides for the printing material of your choice and browse our Help Center for answers to common questions.